ADVance Guard multi-functional hand guards are uniquely designed to provide broad protection and easy adjustability for a variety of weather and riding conditions. 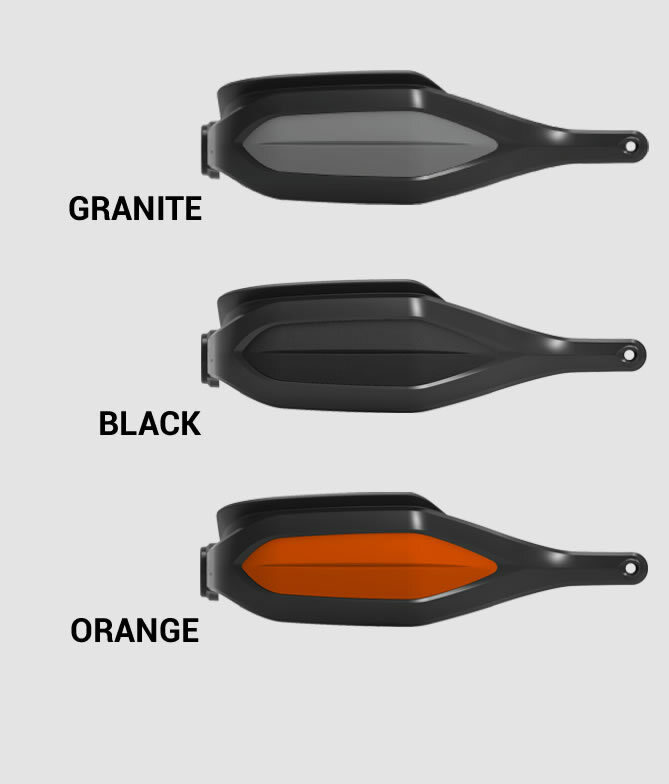 ADVance Guards fit the most popular brands of Adventure Touring motorcycles and are the most versatile and effective hand guards available. ADV and Dual Sport riders must adapt to a wide variety of environmental and weather conditions – from highway to single track, hot temperature in the dirt, warm air in the countryside, or driving rain and cold temperatures on the interstate. The ADVance Guard height adjustable Sliding Shield and removable front Insert enable you to easily adapt to prevailing conditions without the need for tools. The wide twin spar frame is designed to provide broad coverage and be easily configured. With or without the front Insert installed, the Frame covers not only the hands, but also the control levers and switches. Used by itself without the Insert or Adjustable Shield attached, the open center permits cooling air flow. The Frame mounts to the bar end and at a second point to the handlebar with forged aluminum Mounts shaped to clear control cables for different motorcycle models. A Twin Spar Frame with an open airflow front. An Insert that snaps into the open front. A Sliding Shield that is adjustable up and down 50mm. Fully extended vertical coverage is 142mm. With the Shield’s in its open front configuration, ADVance Guard’s height is 98mm. Shield adjustments must made while the bike is stationary. The Insert and Sliding Shield are injection molded in a resilient polymer and are easily attached or removed from the aluminum Frame. Currently available to fit BMW, KTM, Honda Africa Twin, and Triumph Tiger. Fitment Kits contain handlebar mounts, bar end spacers and bolts to custom fit each respective model. Additional brands and models will be added over time. NOTE: ADVance Guards only fit motorcycles with a continuous tubular handlebar, whether its an aluminum taper bar or 7/8” steel bar. 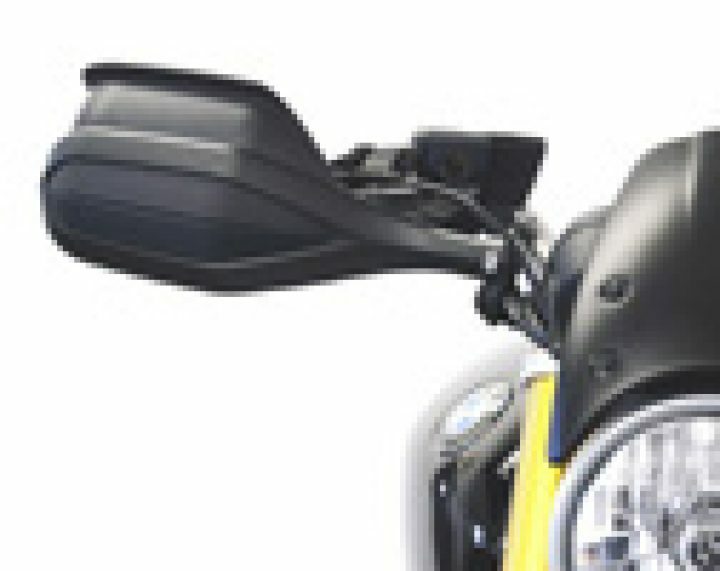 It does not fit multi-piece bars that are cast aluminum with short tube handlebar assemblies as used on many touring and sport touring models, such as the BMW R1200 RT, and RS.